It's the year 2036. It has been a decade since that first summer when the arctic was ice free. Since then, rising temperatures have dramatically affected the world's food supply. There have been 3 straight years of crop failures, and most of the 8.5 billion people on Earth are on limited rations. However, a source of great hope exists. Run by the mysterious entrepreneurial recluse, Willy Wonka, the last chocolate factory continues to produce vast quantities of Wonka bars. For the first time, Mr Wonka is opening his factory for a tour. Five Golden ticket holders will experience the magic.... will you be one of them? Admission $20 - includes a Wonka bar! Misty Montaigne is a singer, actress, and emcee in Seattle. 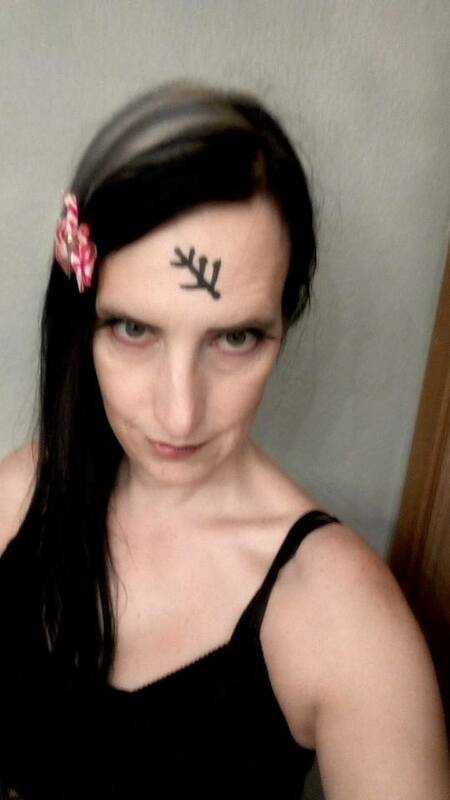 She was recently seen playing a baby-stealing witch at Oregon Country Fair and as Papagena at Highbrow/Lowbrow. "Charlie and the Chocolate Factory" was her favorite book as a child and she is both excited and awestruck to be following in the footsteps of the late, great Gene Wilder. 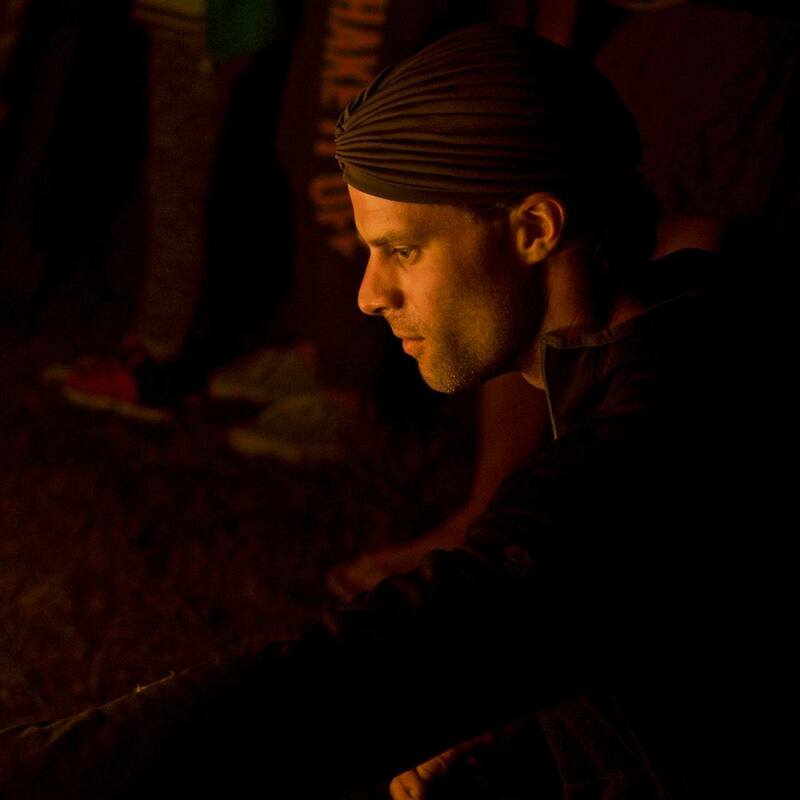 Pj is an aerialist based out of Bellingham, WA, with strong ties to the Seattle circus community. 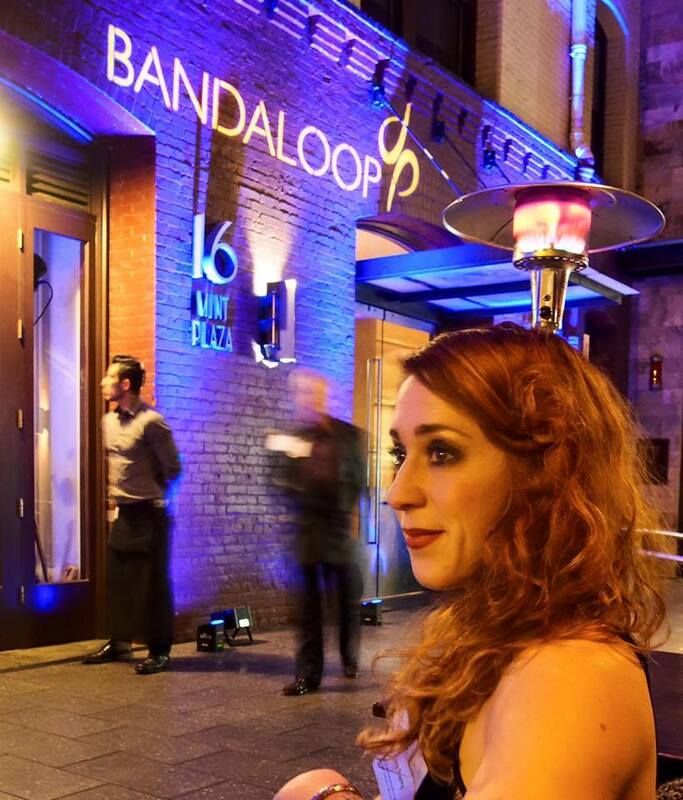 She has been performing since 2008, moving from fabric to duo to her true love, aerial rope. She specializes in dynamic corde lisse and spanish web acts, and continues to develop duo choreography with her aerial partner, Dream Frohe. 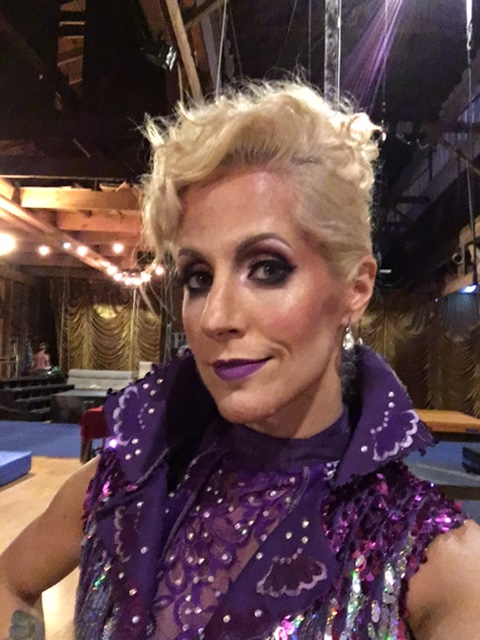 She has performed in and/or with the Dream Science Circus, the Aerialistas, the Denver Aerial Acrobatics Festival, Vancouver Circus Festival, and Moisture Festival. 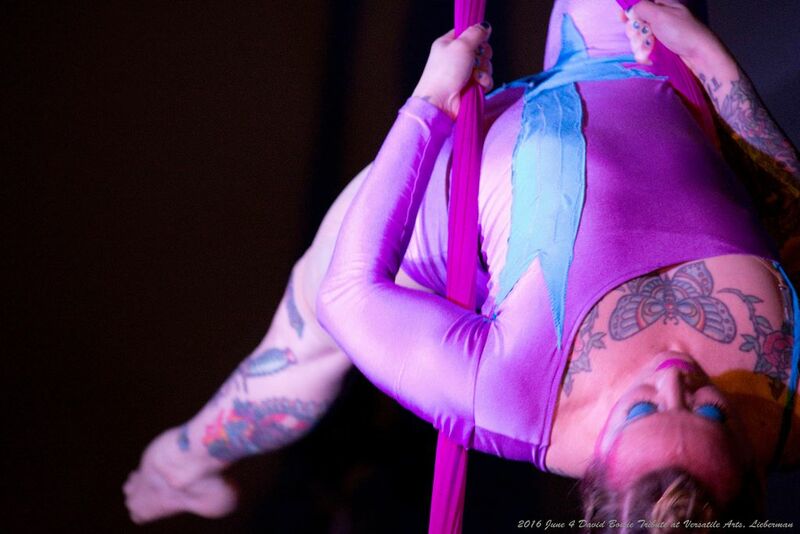 She is an active member of the Bellingham Circus Guild, producing and performing in shows up north. When not flying, she is a teacher of collegiate kinesiology and individual-based Pilates. Flexible... strong... daring... Julie can work magic on fabric and hoop. 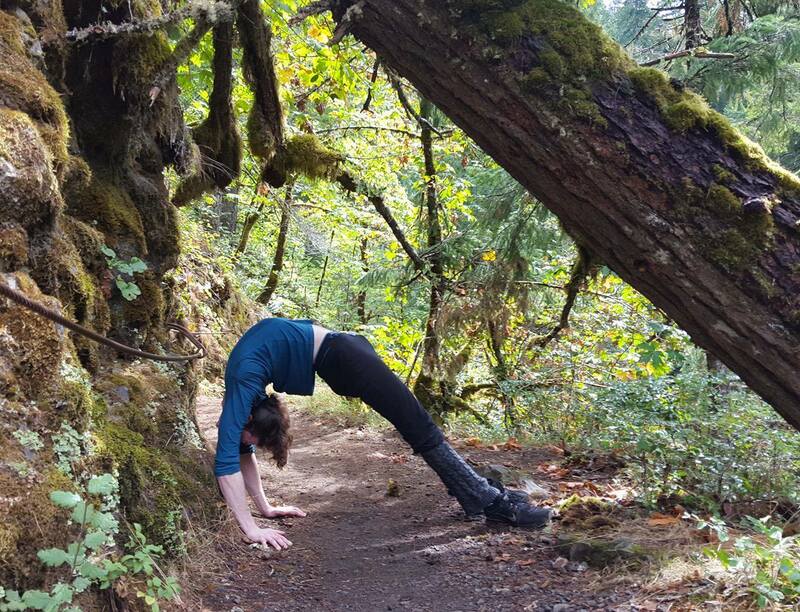 Based in Leavenworth, she makes it to Seattle every week to train, teach and perform. 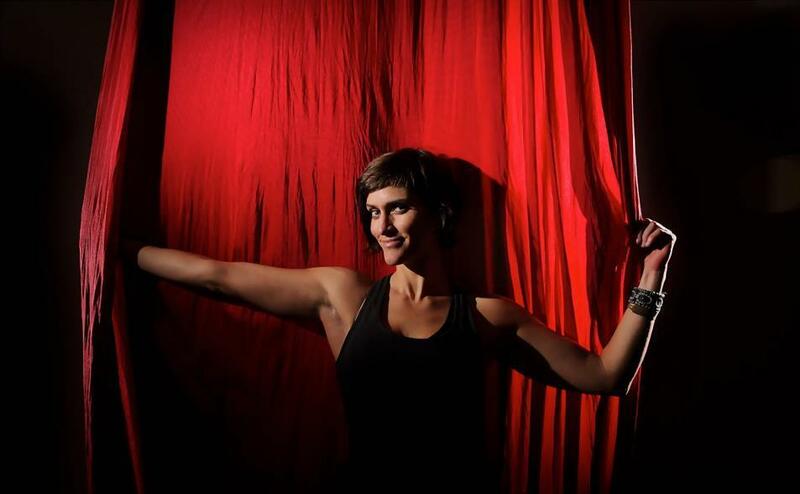 She's an instructor at Emerald City Trapeze, and if you're lucky, you can see her perform all around the Northwest. In addition to performing regularly at Club Q, Carla is known for creating amazing character based acts in the air. Many of you will remember her 'Teeth' based performance at 'Masque Of The Red Death'. Joe and Jody first met in the concrete jungle of Seattle, WA- in the cathedral of Versatile Art to be precise. Joe's favorite trick is the Possom Swing while Jody's is the Fantastical Fruit Rollup. They plan to pursue their passion for swinging like Jane and Tarzan for some time to come. Christine Anne is a northwest based circus artist who recently spent 10 months studying circus full time at Aloft in Chicago. She there acquired more disciplines than aerial, including a new found love in tightwire. Mai Li is a musical savant. 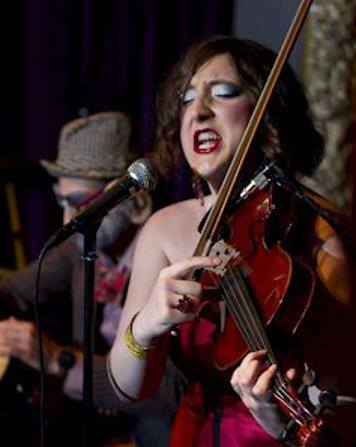 She's a singing violinist with The Debaucherauntes, a former bassist with Aces & Anchors Productions, and studied music composition at Florida State University. Peter Amelia AKA Corbeau is an up and coming single-point trapeze artiste as well as a contortionist in training. For Charlie and the Dark Chocolate Factory they will be performing a contortion based flexibility act. Peter is very excited to be performing just a few weeks before their birthday. Tamara is an entertainment legend. 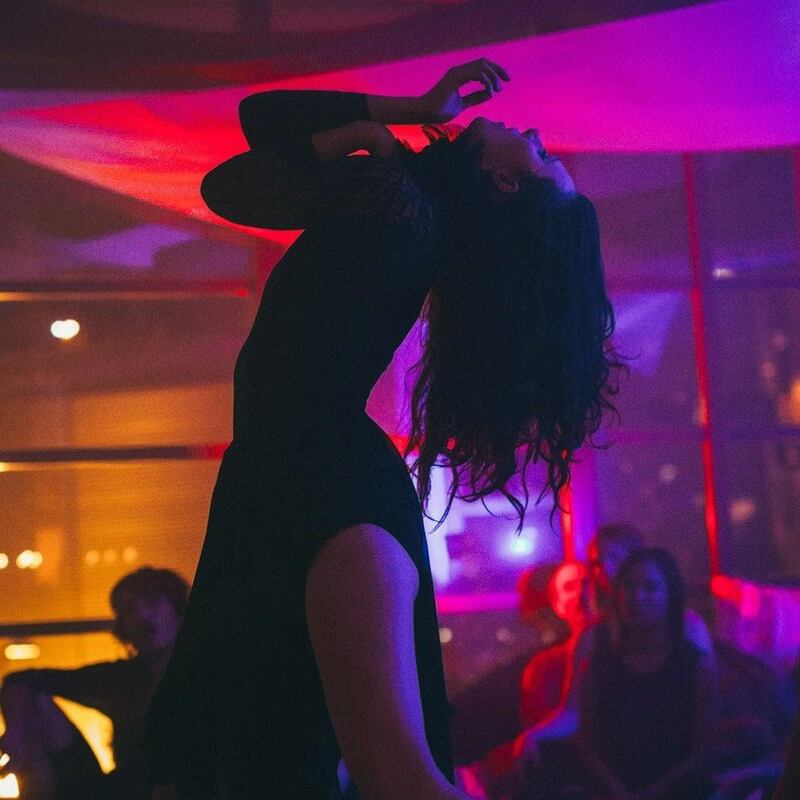 She has wowed audiences with her aerial and burlesque acts throughout Seattle, the Pacific Northwest, and the world. She's spread love, lust and glitter from above since 1993 all over 3 continents. In May, when Marty suggested that Cirque Macabre do Charlie and the Chocolate Factory, her first response was, "It has to be Dark". She's spent the months since, writting outlines/storylines/dialog, recruting the exceptional cast, and having Oompa Loompa nightmares. If you take umbridge with the story or find it upsetting... it's her fault. A lot of work goes on behind the scenes in a production. As the producer of Charlie and the Dark Chocolate Factory, Marty Badger is responsible for almost all of it. 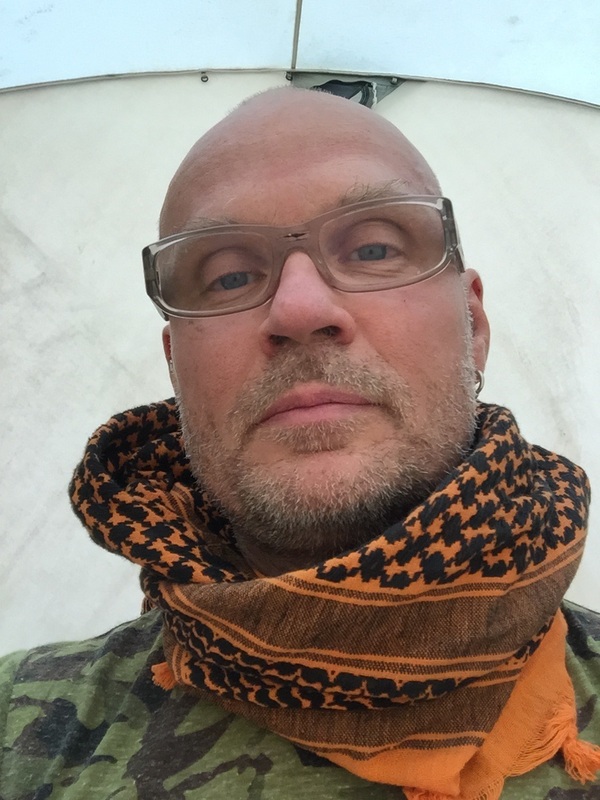 In addition to designing all the graphical artwork, he also wrote/composed all of Oompa Loompa songs, and worked with the overall musical direction of the show. He'll be in the tech booth for both shows. Aerialist often push their bodies to the limit to do impossible things. It's all too easy to sometimes push them too far. I'm afraid that due to a minor injury the amazing Jenn Bruyer will not be able to perform this weekend. 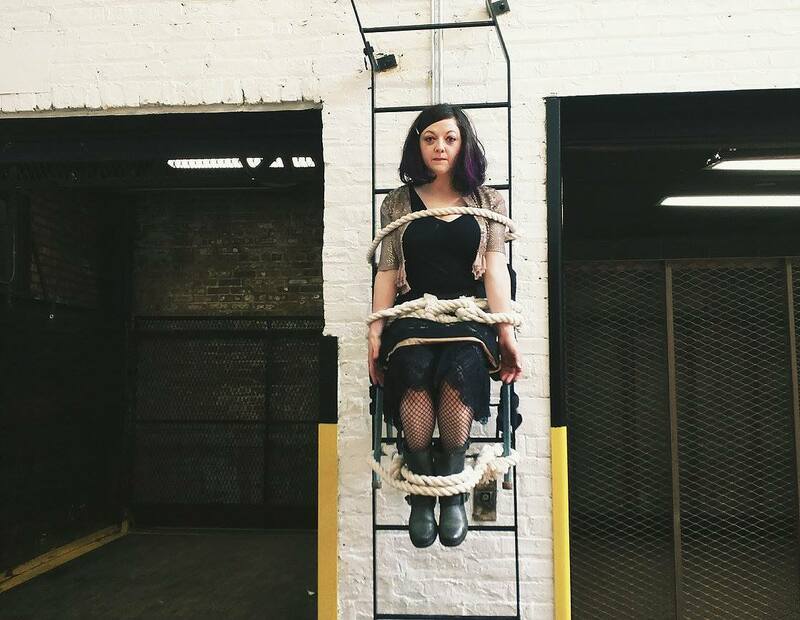 Jenn has been exploring aerial arts since 2007 via silks, cord lisse, trapeze, lyra, sling and rope and harness. 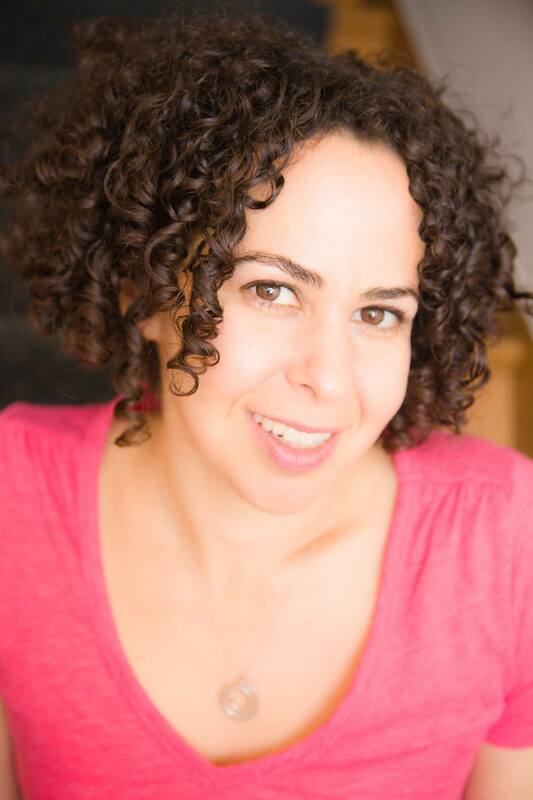 She has coached and performed across the US from New York to Alaska and is currently based out of Seattle, WA where she is a staff coach at Versatile Arts [2010-present]. 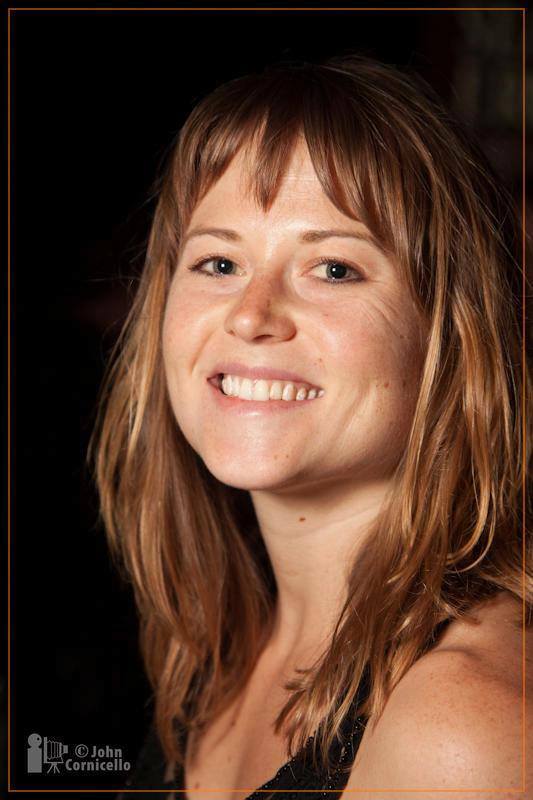 As a certified personal trainer, Jenn is as passionate about optimal training as she is about creative exploration. Her constantly evolving movement style has been described as “mesmerizing" and “wildly unexpected”.